It has been a long week for Mecardo’s resident ‘football’ nut in Ballarat, breaking up a busy week with a late night only to see the Socceroos going down two-nil. This correspondent is more interested in the local brand and is hoping the Demons can emulate the form of lamb and mutton this week, and get back on the rising trend. We weren’t going out on too much of a limb by predicting the Eastern States Trade Lamb Indicator was going to hit a new record by the end of the week. At least it was right, the ESTLI closed Thursday at 710¢/kg cwt (Figure 1). A couple of years ago we also predicted this but got it wrong. Demand has caught up, and supply seems to be seriously on the wane. We have concentrated on the goings-on in the east this week, but lamb and mutton in WA have also rallied, albeit to a lesser extent. The WA Trade Lamb Indicator (WATLI) has gained 50¢ since the end of April and while not matching the ESTLI this week, at 647¢/kg cwt it’s only a week behind (Figure 1). 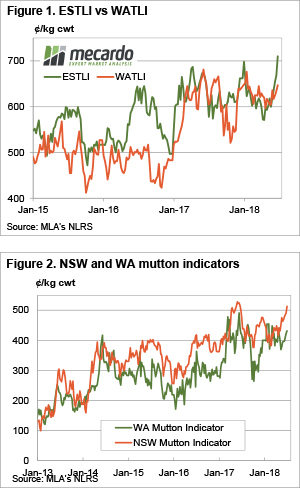 Mutton is somewhat defying the live export issues in the west, with the WA Mutton Indicator gaining 62¢ in June to hit 431¢/kg cwt (Figure 2). This is still 82¢ behind east coast values, which equates to around $16 on a 20kg cwt sheep. The rally in east coast price might be propping up the west, as demand can draw sheep across the Nullabor. 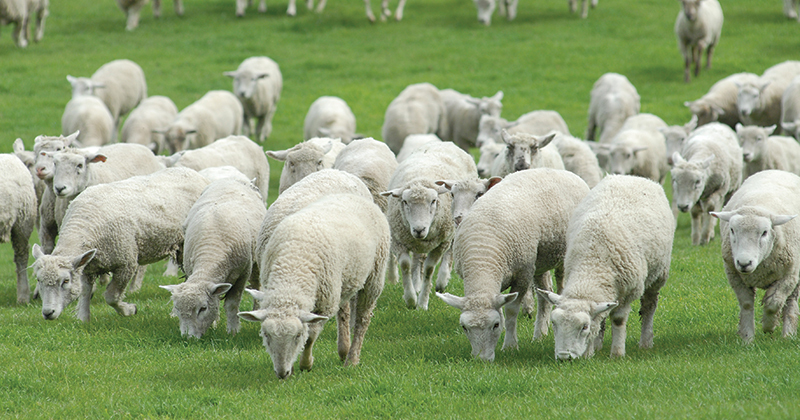 This week’s rally in sheep and lamb markets has occurred in the absence of any real rain. We’ve had a couple of reports of the dearth of sucker lambs which normally come out of NSW at this time of year, and this is obviously helping to drive the market. All indicators are pointing towards continued strength for sheep and lamb for the short term, and hopefully, the Demons can emulate the ovine strength, rather than the Socceroos form.